Blackmore connects is a low cost outsourced CEO 1st program developed for Private Equity by an Independent Sponsor Private Equity firm. For $6000 – $12,000 a year we save you over $1M trying to do this in-house. Where are the conferences held? How Many Executives will I meet? 6-12 per conference and more in-between if you register for 6. How many executives attend each conference? Our target is two executives for every Private Equity firm attending. The lowest end is one to one. How many PE firms attend each conference? On average is 12 the Maximum is 25 firms per event. How will I choose which executives to meet? 1 week before you arrive at the conference you will get all of the executives deal thesis, deal funnel, bio, and resume via a secure data room. You choose your top 8 and we choose the rest. Or just one to test it out. How does this compare to ACG Capital Connection Events in cost? ACG Capital has 100’s of PE firm and 1000’s of vendors wanting to get at you. So much mental noise. You do it all for ACG – consider how much your time is worth $500 hour? $250 hour? At BlackmoreConnects we do it all! 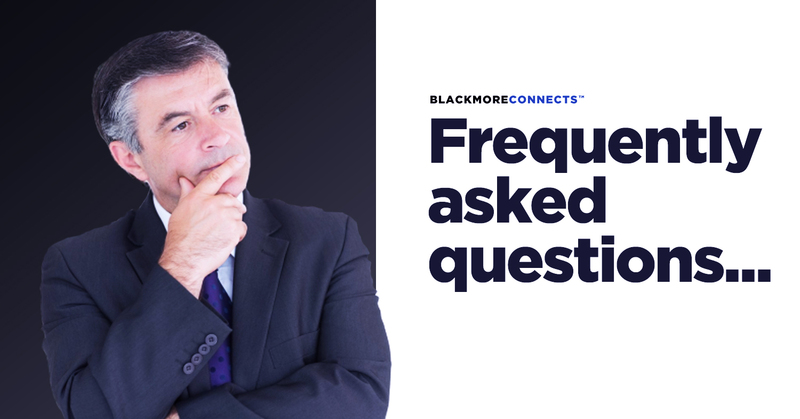 What makes Blackmore Connects™ so qualified? We have Skin in Game – The majority of the fees come on the back end when deals get done. What are the benefits to a PE Firm? What kind of execs will I meet? Build new proprietary deal flow that matches your mandates. Discover new niches in which to focus your efforts. Partner with execs who can assist you in creating deal angles to win banked deals. Partner with execs who an M&A minded and deeply understand how Private Equity works. Save weeks and months of your time. Build your executive bench through BlackmoreConnects™.